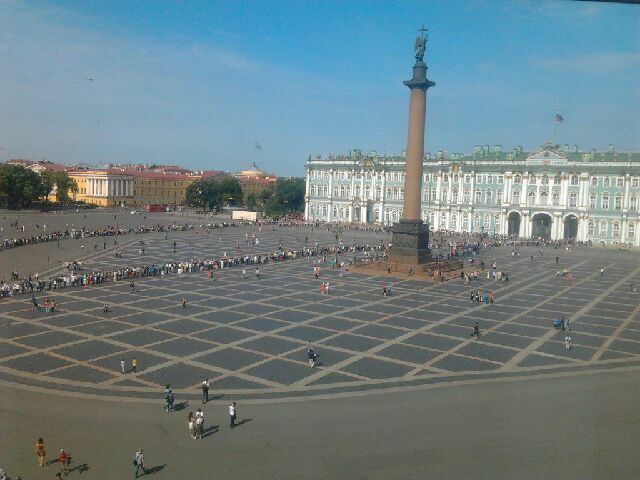 In August 2015 I took this picture out of the General Staff building of the TWO lines leading to the main entrance of The Hermitage! What you can't see from these pictures is that once you enter the arches to the main gates, as seen in the picture on the left, there is another 30-50 meters until you get to the actual entrance of the Hermitage. Many of these people will undoubtedly wait in line for hours and many will simply not enter because they give up and leave or not get in because the line is just too long and the museum closes. It's impossible to know when the lines will be this long. A lot of factors come into play, such as how many ships are in port or if there is a special event or large convention in the city. That's why it's so important to book your Hermitage tickets in advance. When you book an excursion with me I will arrange VIP entry to an entrance in a completely different location. This entrance is only for licensed guides that have a contract to have these VIP entry tickets. 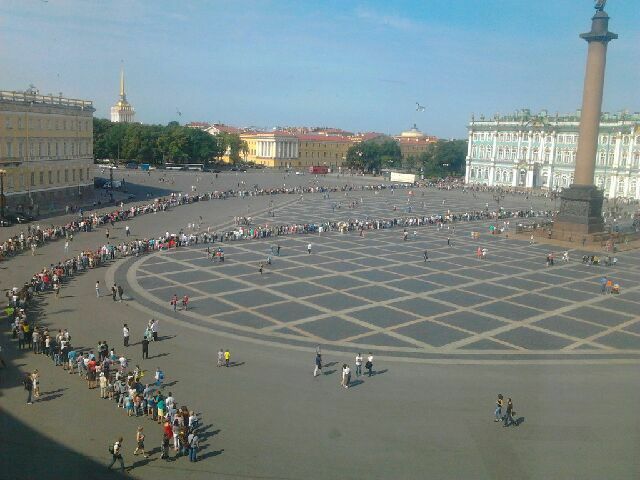 Please have a close look at these pictures and decide for yourself if you want to come all the way to St. Petersburg Russia to wait in such a line! Please allow me to save you from this head ache and arrange for your VIP entry! These tickets do need ordered in advance, so please be sure to get in touch with me before your arrival.